On any given day, more than 30 Ramsey County children and teens are waiting for an adoptive family. They are children who have come into foster care and are not able to return to their birth parents’ home. While many children and teens are adopted by relatives or foster parents, some children need to find forever homes with a family they don’t know yet. While many children and teens are adopted by relatives or foster parents, some children need to find forever homes with a family they don’t know yet. We also have groups of siblings that need to be adopted by one family. These kids need individuals and families they can count on, who will help them grow up and guide them as they pursue their dreams. If you have decided that you are interested in adopting, the information below will assist you as you move through the adoption process. Adoptive families go through a licensing and approval process to protect the safety and well-being for children. The process includes application, background checks, training, home inspection, and interview with a licensing worker. The home study needs to be an accurate picture of your family so that we can determine how you will be able to meet the child or children’s needs. Your licensing worker will help you through this process. If you are a licensed foster and/or adoptive home and are working with an agency, you have completed a vital first step toward approval. If you are the relative or kin of a child and identified as an adoptive resource, you are likely going through the process of being licensed now. Many children who need to be adopted already have a “resource family” identified who wants to adopt the child. We work with the family to complete the adoption process. Resource families need to be licensed for child foster care and approved for child foster care and/or adoption. If you are not yet licensed and want to start the licensing process, contact us at 651-266-5437 for information on licensing and approval options. The purpose of the matching process is to assess a child’s needs and evaluate the ability of a potential adoptive family to meet those needs. To consider a family for placement, Ramsey County must have a copy of the approved home study and background checks. Once a potential match has been identified, Ramsey County begins to share information about the child’s needs and interests, including the child’s medical and social history through a series of meetings with the family, social worker, guardian ad litem, children’s law center attorney, teachers, therapists, current care providers and others. A decision is then made by the child’s team if the family is able to meet the child’s needs and by the family if they feel they are able to meet the needs of the child and if the child will fit into their family. If both parties decide to move forward, the team develops a transition plan specific to the child’s needs. During the adoption process, each child is assigned a social worker, a Guardian ad Litem, and an attorney. The Ramsey County social worker acts as the child’s legal guardian on behalf of the Minnesota Commissioner of Human Services. The social worker also helps facilitate the gathering and submission of documents to both Minnesota Department of Human Services and the court to complete the adoption process. The Guardian ad Litem (GAL) is an advocate for a child whose welfare is a matter of concern for the court. Each child age 10 or older is assigned an attorney through the Children’s Law Center (CLC). The Ramsey County social worker, Guardian ad Litem and CLC attorney have the right to meet with the child at home, at school or in the community. They generally make an appointment, but may come unannounced as well. Ramsey County helps the family access the services and supports required to care for the children they are adopting, including special education services; educational, mental health, and medical assessments; individual and family therapy; mental health case management; waiver programs; and personal care services. Children are eligible for Minnesota Medical Assistance and depending on the child’s needs may be eligible for financial support. These services may occur inside or outside of the home. Please let your social worker know if you have questions or concerns about the child. 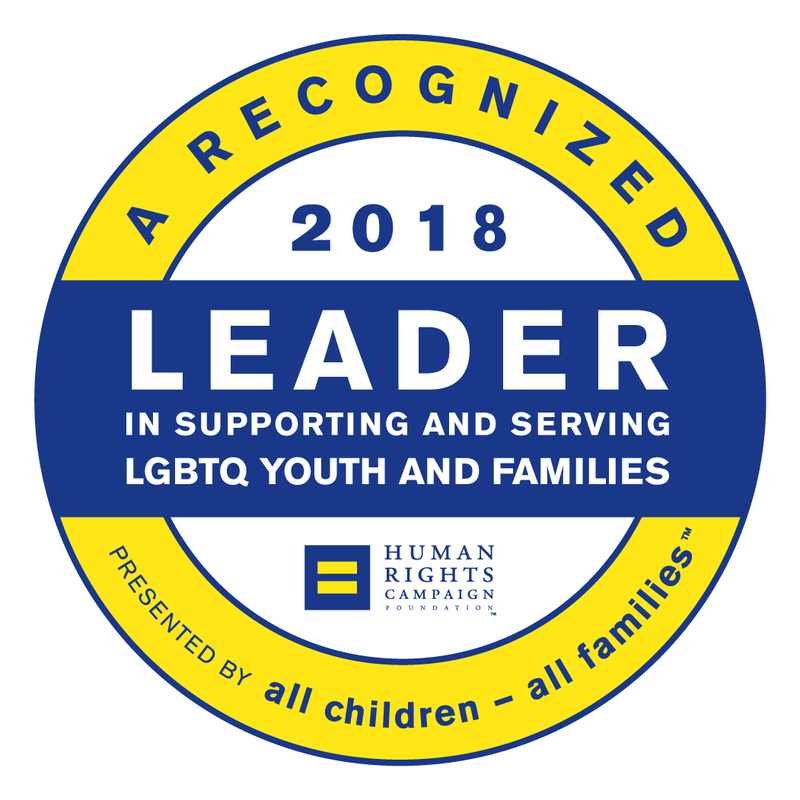 Ramsey County Adoption is proud to be recognized by the Human Rights Campaign as a leader in supporting and serving LGBTQ youth and families.